London, 14th August, 2011: Tickets for Warner Bros. Studio Tour London – The Making of Harry Potter will go on sale from 13th October 2011 via www.wbstudiotour.co.uk, prior to the attraction’s Grand Opening in Spring 2012, it was announced today. Warner Bros. Studio Tour London – The Making of Harry Potter will offer visitors for the first time ever a unique behind-the-scenes tour of the most successful film series of all time. Guests will be able to see firsthand the sheer scale and detail of the actual sets, costumes, animatronics, special effects and props used in all eight of the Harry Potter films. Spread over 150,000 square feet including two dedicated soundstages at Warner Bros. Studios Leavesden, the home of the Harry Potter film productions for over ten years, Warner Bros. 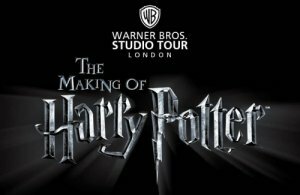 Studio Tour London – The Making of Harry Potter will showcase the British artistry, technology and talent that went into bringing this beloved film series to life. 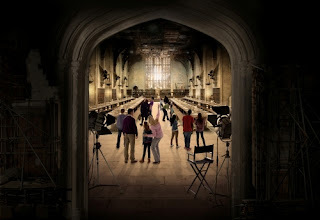 Following in the footsteps of Daniel Radcliffe, Emma Watson and Rupert Grint, guests will get to walk on to some of the most memorable and most recognisable sets, such as the Great Hall, Dumbledore’s office, the Gryffindor common room and Hagrid’s hut, among many others. Visitors will also have the opportunity to see the spectacular real life animatronics in a Creature Effects workshop, which will feature iconic Harry Potter film creatures including Buckbeak the Hippogriff, Aragog, the giant spider, Fawkes the phoenix and the enormous Basilisk head. Tickets for the Warner Bros. Studio Tour London – The Making of Harry Potter, which opens in Spring 2012, will be available from 13th October 2011. They are priced at £28 for adults and £21 for children, and must be booked in advance via a dedicated website www.wbstudiotour.co.uk or through approved tour operators. Welcome to the running girl! Ranbir’s bike scare on the sets of Rockstar! Will you be able to get to the match?